The Olmsted Township Police Department is starting a program with the voluntary assistance of the local citizens to enhance existing police services and improve the efficiency and effectiveness of the organization. The Volunteers In Police Service (VIPS) Program is a highly structured volunteer program that falls under a para-military hierarchy. 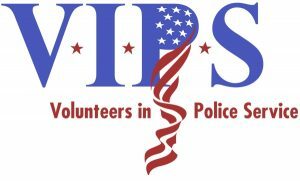 The VIPS Program is for interested citizens who wish to volunteer their time as a non-sworn, non-paid member of the department. (Police Volunteers are not sworn members and do not have any authority or duties that would consider them a peace officer). The volunteer commitment for all volunteers lasts for a period of one year with a requirement of thirty hours per year but may vary depending on the needs of the department or the project, which the volunteer is assigned to. We are anticipating utilizing the volunteers during races, special events, targeted traffic details, and other general assistance that our agency may need. There are some things that may disqualify you from the program that are included in the OTPD VIPS Handbook which is included below. For those actively involved in the program and those of you that are interested in this program, we plan on having our next meeting on Thursday March 21st, at 7:00PM at the Olmsted Township Fire Department in their training room. You may bring completed applications to this meeting or email them directly to me at ssonneborn@olmstedtownship.org If you have any questions pertaining to the program, please include them with your application email.